My wife and I have a busy, active family with two sons. We’ve constantly tried to juggle details of work, church, school, and play. It’s been frustrating and impossible with all of us living on our own schedules. My wife started a written family calendar that quickly became a shared iCal calendar once we all had smart phones. It became the easiest way for us to realize what we’re doing and where the date conflicts happen. Nothing in our family is an “official” event until it’s on our calendar. 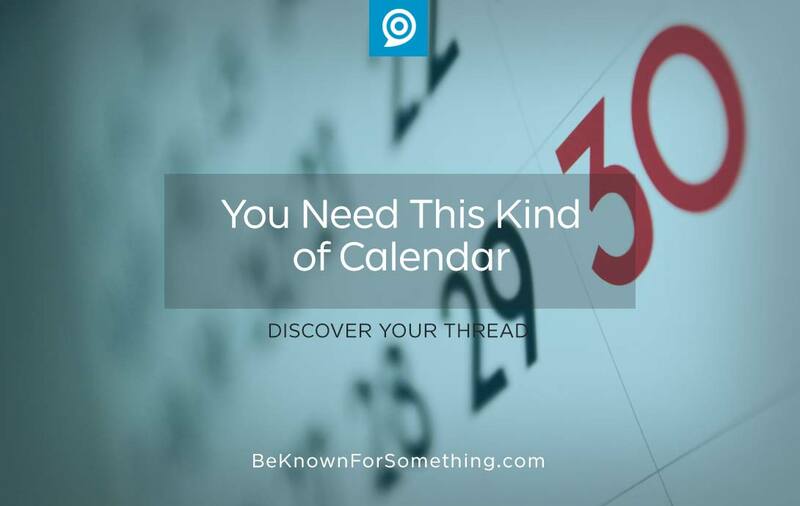 Your Church Communication’s Team needs an event calendar much like a family calendar. Get everyone on one page. You must establish one set of rules so all leaders communicate freely using this one calendar. No one can build their own calendar. They must use the master communications calendar. Every event that’ll be communicated internally and externally has to be on it. Gather every leader (who creates/implements events) into one room to discuss the importance of getting their information accurate. Remind them of the one thing your church is known for in the community and how important it is that each ministry needs to reinforce it. It’s your core positioning benefit that attracts people and must be controlled. Tear down silos. Once everyone is together, explain how important it is for each ministry to know, support, and promote ALL events in the church. No ministry acts alone in a church. ALL members and visitors of your church must see (and love) this coordination so that events don’t trample the time of our already-busy families. Silos are for farms and serve no purpose in ministry other than protecting an individual ministry leader. Tear them down! Create an accessible calendar. Every church is different, so assure that all ministry leaders and assistants have easy access to the communication’s calendar. They shouldn’t have any excuses for not using it. Be willing to shift or eliminate events. Develop ministry empowering rules for the calendar. You want all ministries to play fair, have the ability to be heard, and have the power to bump another event until its locked into place. It’s best to do this within the confines of a tiered ministry strategy (“all-church” events take precedence over “all-ministry” events, and smaller events find their place between larger ones) and when everyone is sitting around the table. Annual or semi-annual calendar meetings work best. Like most things, establish foundational rules ahead of time, and the communication calendar will work more effectively. The NUMBER ONE rule? Everyone must think of the well-being of the church (ALL members and community outreach). Establish your communication personas (the targeted people groups for your ministry) and remind every one about them at your meeting!